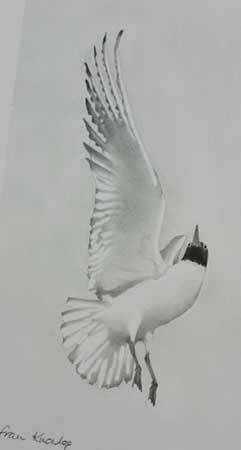 Black Headed Gull. Pencil. 17x33cms.